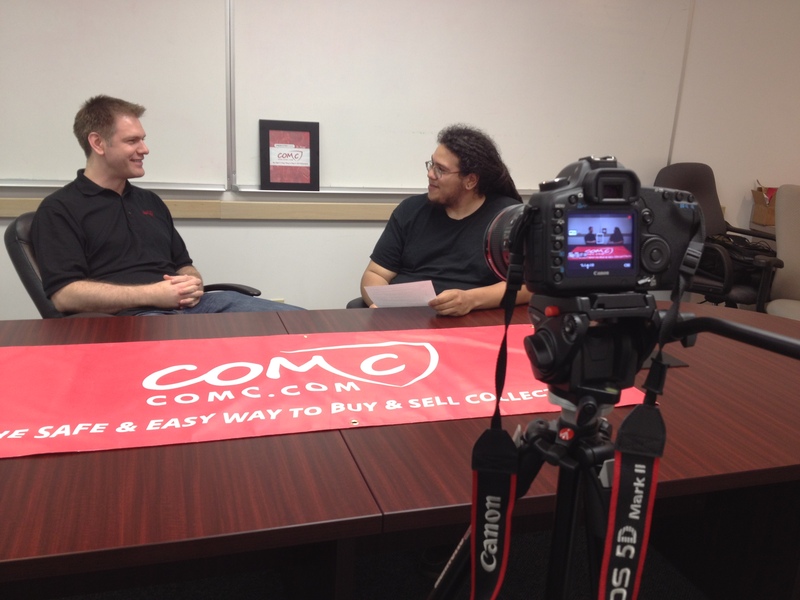 As many of you can tell, the last few weeks at COMC have been very exciting. Thanks to your continued support and suggestions, we are finally preparing to launch our newest service: The Vault. We believe that this new service will over time become a major asset to the hobby, and we aim to provide it. 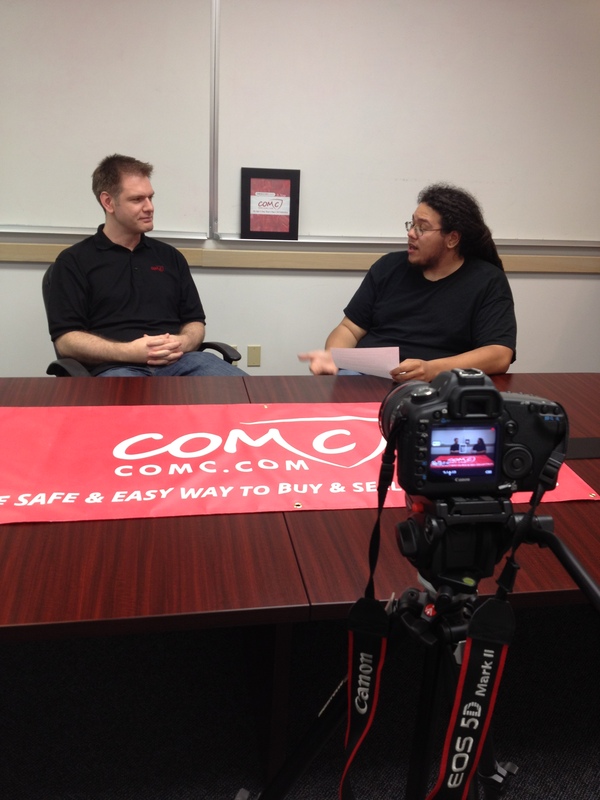 Traditionally, COMC has been the home of $1-100 items and we will continue to offer the same amazing service to that market. Now, the time has arrived to help our buyers and sellers find a better, safer way to handle the online sale of the big ticket collectibles. To get the word out, we would like to ask for your help. Last week, we launched a Facebook contest to have you folks share our Apples To Oranges comparison. Congratulations to Aaron Dragland who won that contest! This was a smashing success and we have been contacted by many new users who were brought to us through your efforts. So, let’s get the word out to even more folks this time around! From June 13th until June 19th, we want to see how many shares we can get of this announcement. Every user who shares this image on their Facebook page will be entered into a drawing. The pot will be worth $5 + $.25 for each share this image has received! The winner will be announced on June 20th on Facebook. As a special bonus, as many of you know, tomorrow we will be releasing the first part of a two part video interview with Tim talking about the new Vault service. There were so many questions that we wanted to answer, we decided we would split it into a section talking about general questions and a section about seller specific questions. Here are a couple of photos from the filming as a sneak peek! This entry was posted in contest, new features, The Vault. Bookmark the permalink. I just wanted to congratulate you again on winning last weeks contest. So what are you going to use all that store credit on? We are rather pleased with the way it turned out. Let’s hope that the rest of the folks who see it like it as well. My thoughts are pretty simple. This is the second posting about “The Vault” I’ve received via FB. However, I still fail to have a clear picture or semblance of exactly what it is and what it costs? To me, cost is a far lessar issue. Most importantly I don’t fully understand this initiative. As I try to decipher most of your business is in the $.01-$100 range in terms of a regular transaction as was listed. I surmise, “The vault” will serve customers looking for more unique items looking and ffor cards in a higher price point, whilst also maintaing trust in your system? Seems ambiguous to me. The banner you’d posted before of “Apples to Oranges” was best. Simple, clean, & informative! Hey mark if my 1912 triple Hassan’s don’t sell by the time you guys go to your next show can you guys showcase them for me there? So you can show people that obviously ppl trust you and send in 101 year old cards and sell them for me if someone is interested! Hope your enjoying your weekend and as the site progresses and you guys/gals get into the sports memorabilia part I have some truely unique 1/1 pieces that I know you guys could help me selling with full letter of PSA/DNA hence I have just in baseballs every rookie of the year, cy young, hall of famer, & mvp from 1945 to present day! i also have locker and game used memorabilia including a sf giants helmet a true 1/1 and a sf niners locker/ game used authentic helmet with Jerry rice Steve young Dwight Clark Ricky waters and 20 other signatures as well as a full playoff game used jersey including pants and the players belt that says AL central champs from 1999 its a Indians jersey. As you know it’s not what you know but WHO you know now a days well I’ve got A mini sf niners helmet signed by coach Neal Dahlen the 1st and ONLY person to have 7 Super Bowl rings as they’re family are very close family friends and game used bats from Fred Lynn, Maris, mantle & yogi Berra! The last thing ill share with you is I have a green snap back Michael Jordan signed on the top of the bill of a baseball cap and John elway next to him which I know is a true 1/1! 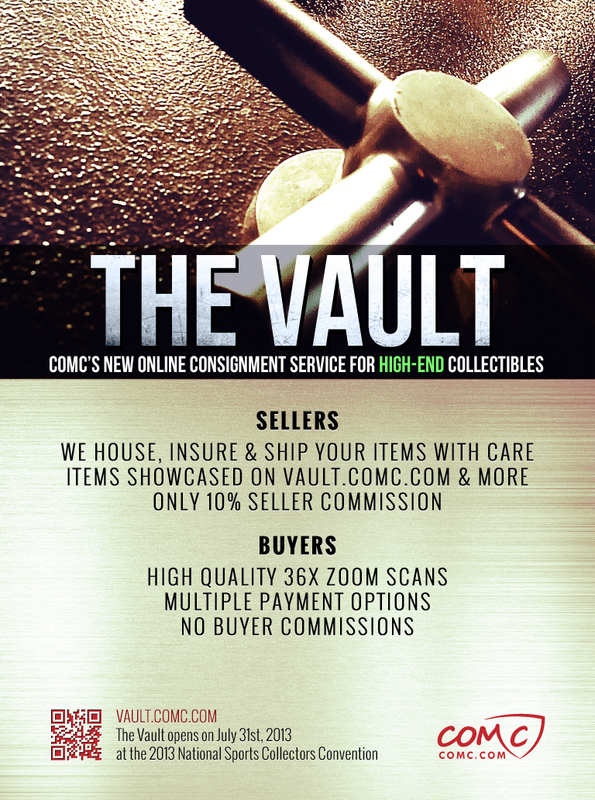 So i would be sending you guys up some stuff for the vault if later down the line COMC would use it for that ! As long as these cards have been marked as Vault Eligible, we would be happy to put these cards on display at the various shows we go to. As far as some of the other memorabilia that you have mentioned, as other items become available on the site, these too will become eligible for The Vault service. If you have any questions on this, I encourage you to contact our Customer Service department.